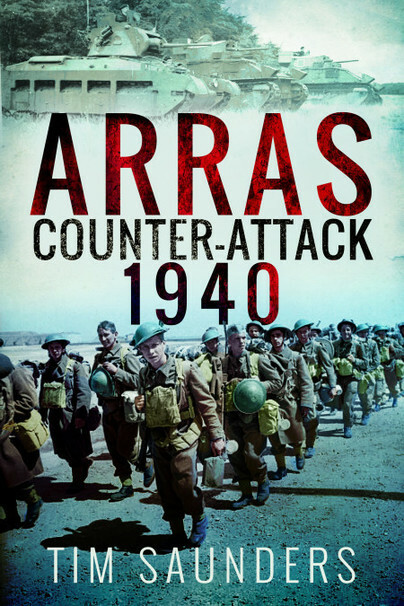 You'll be £7.79 closer to your next £10.00 credit when you purchase Arras Counter-Attack 1940. What's this? Overall I'd definitely recommend this to those with an interest in the period. The Arras counter-attack contributed to Hitler issuing the famous 'halt order' to his panzers that arguably did much to allow the British Army to withdraw to Dunkirk and escape total destruction. This well researched work based on British and German military records, describes the fluid nature of the battle and General Rommel's decision to send his Panzers columns racing across northern France to seize the Channel ports. The loss of German panzers in a poorly coordinated counter-attack by British Matilda tanks and French armour, together with furious resistance from British infantry, was sufficient to persuaded Hitler to halt Rommel's panzers. This halt bought the Royal Navy a few extra days to evacuate thousands British and French soldiers from the crowded Dunkirk beaches. An excellent description of the Arras counter attack by an expert in the subject. It offers a very readable narrative of the situation that prevailed during the German offensive in 1940 and ties it in to an excellent description of the battlefield context. As would be expected from the author, the book ends with a good set of instructions on visiting the battlefield and offers details on where to stand to take in the impact of the geography on battle. It is a shame that access to Ferme du Belloy is no longer possible as it offered an exceptional insight into Rommel’s actions to direct fire from the ridge. I look forward to visiting the alternative location offered by the author. Overall a very good read which sets clear some of the assumptions that get repeated in less authoritative accounts.